This looks delicious! So beautifully presented, too! Thank you!! It is truly delicious too! Thanks for the recipe. In memory of Dzia Dzia, Busia and the Fowlers this will be on our dessert table this year. whoo hoo!!! Let me know how it turns out!! Hi Mary, thought you might want to know that Karo corn syrups do NOT contain high fructose corn syrup. So much the better! But they’re still not organic, meaning that there is a very high probability that they’re derived from genetically modified corn sources. Much healthier to choose an organic corn syrup – they do exist. 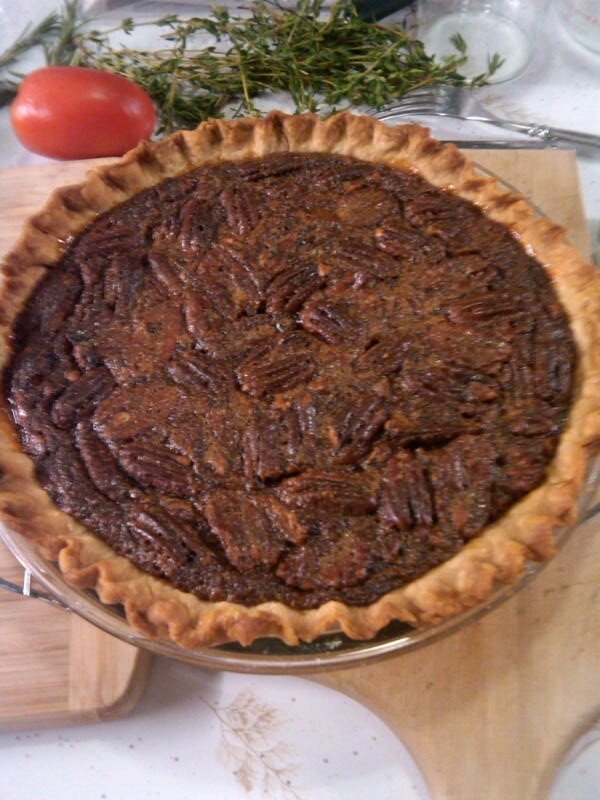 Or to use brown sugar (preferably organic) instead of corn syrup, which renders a less cloyingly sweet pecan pie. For your recipe, 1 3/4 cups packed medium brown sugar could substitute for your your sugar/corn syrup combo. Here’s to fabulous, and sort of healthy(?) 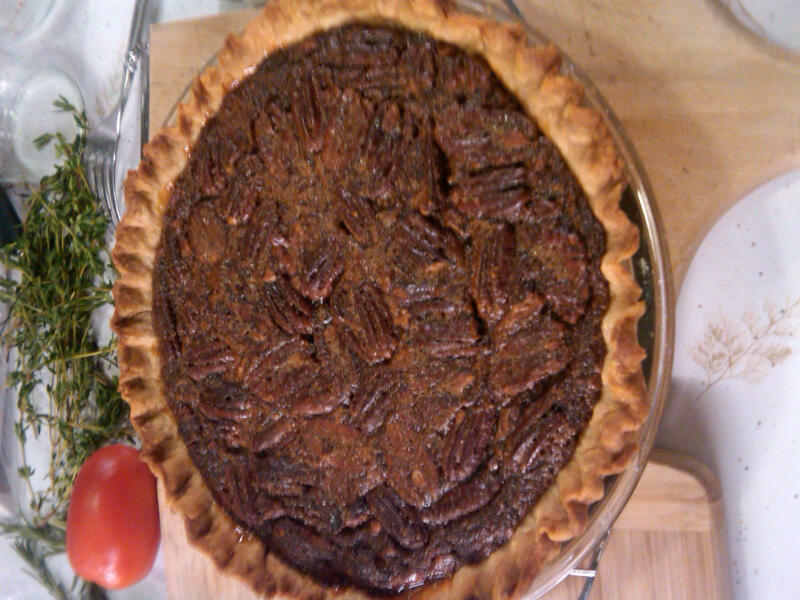 pecan pies. Lynn- Thanks so much for the info! Happy New Year! I’m also going to try substituting Agave syrup for the corn syrup some time soon. Oh, great. Let me know how you do with the agave. Happy New Year to you and yours. Whoops!! You’re absolutely right!! So sorry. It’s gonna be a sweet pie for you!